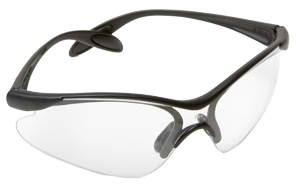 Forney Pro safety glasses – gray shaded lens with black frame. 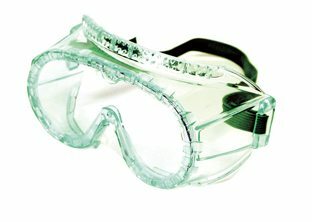 Scratch resistant lenses. Anti-fog coating. Ribbed non-slip nose cushion. High impact polycarbonate lenses. Ratchet inclination. Adjustable temples to fit a variety of face sizes. 99.9% UV protection. Meets	ANSI Z87.1 2003.